Hair loss is one of the most distressing and appalling physical conditions. Not only because it is the loss of your identity, but also because it makes a great psychological impact. 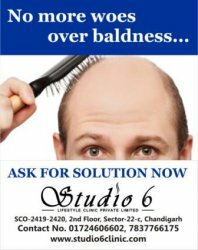 If you're losing your hair or have thinning hair, it can devastate your self-esteem and make you live a stressful life. In order to save your identity and bring you out of the stressful life, Hair Transplant Surgery has been invented, which has gone under severe transformation and has become more and more resilient and produced better results over the years. Indeed, it is the perfect solution for both, men and women to cover the bald scalp with 100% natural growing hair. In FUE(FOLLICULAR UNIT EXTRACTION) method individual follicular unit containing 1 to 4 hairs are removed (extracted) using tiny punches of between 0.6mm to 1mm in diameter from the donor area. Each follicle is then placed into the recipient sites in the balding area of scalp using fine needle point instrument. In these recipient sites, these hair follicles grow into healthy hair. This procedure is done under local anesthesia. After transplantation, these hair will continues to grow for life time, they can be shampooed, groomed and require normal hair cut. The small openings left behind after follicle unit extraction, heals in few days and result will be scar less skin. Provides an alternative when the scalp is too tight for a strip excision.